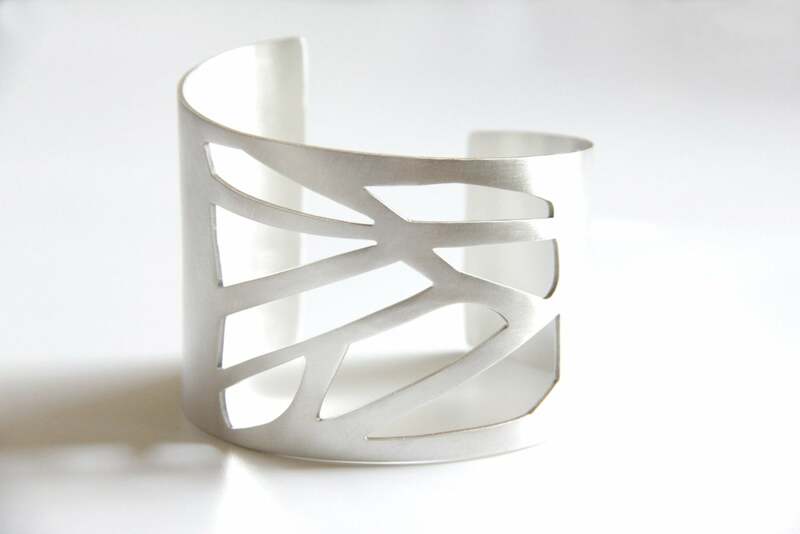 - The cuff is hand cut from 1.3mm sterling silver sheet. The geometric pattern is hand drilled and hand cut. - The cuff is hand forged into shape, and has a brushed matte finish. - Asymmetrical design. The widest side of the cuff measures 2 inches (5cm), the narrowest 1.4 inches (3.5cm) and measures 1.3mm thick.